Hyperloop track is taking shape and pictures of test track built in the middle of the Nevada desert have been released. The California based company Hyperloop One, has ambitious plans to transport people or cargo between cities at near-supersonic speed. The Hyperloop test structure, which has a diameter of 3.3 metres, is located around 30 minutes from Las Vegas. Rob Lloyd, CEO of Hyperloop One, shared a bird's-eye view of how construction is progressing at the world's only Hyperloop test site. 'While technology is revolutionizing many facets of our lives, we have not seen a radical change in transportation since the Wright brothers introduced air travel over 100 years ago,' said Mr Lloyd. 'Tying together the Middle East region would produce greater virtual density, without congestion and pollution, spurring innovation, productivity, job growth and more powerful sharing of knowledge, labor and investment. Hyperloop One, the Los Angeles-based company set up to bring Elon Musk’s vacuum maglev concept to market, has announced the locations of the 35 semi-finalists for its Global Challenge, which were whittled down from 2,600 applications. 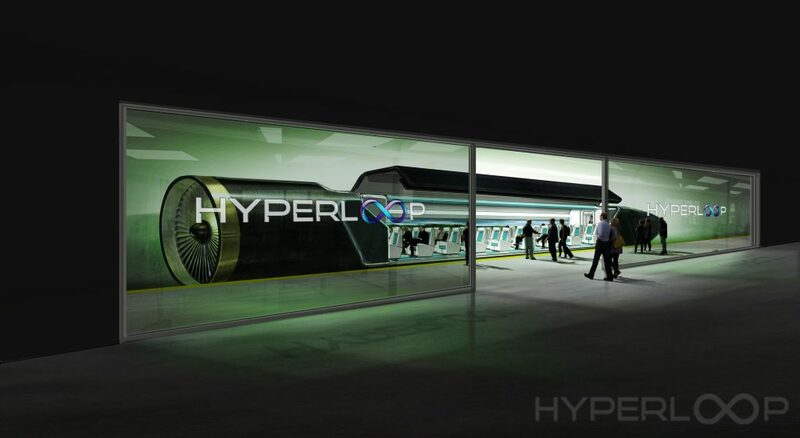 The challenge began in May 2016 as an “open call to individuals, universities, companies and governments to develop comprehensive proposals for using Hyperloop One's transport technology in their region to move passengers and freight point-to-point, swiftly, and on demand”. The semi-finalists are from 17 countries, with the US producing 11 teams, India five and the UK four. Twenty proposals come with commitments of support from local, state and federal governments and agencies. The proposals include links between London and Edinburgh, Corsica and Sardinia, Seattle and Portland, Mumbai and Delhi, Buenos Aires and Cordoba, and Mexico City and Guadalajara. The remaining teams will now be reviewed by Hyperloop One’s panel of experts in transportation, technology, economics and innovation. Hyperloop One expects to announce a “handful” of finalists by May. View a list of the 35 semifinalists here.